MANILA. 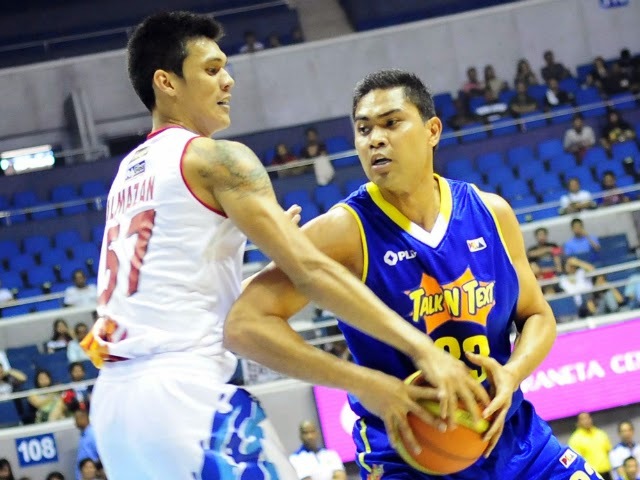 Philippines – Talk ‘N Text Tropang Texters ensured the PBA fans of Game 4 by beating Rain Or Shine Elasto Painters 99-92, on Wednesday, April 22 at the Smart Araneta Coliseum, in Cubao, Quezon City. Minutes before the Game 4 opening tip-off, Rain Or Shine import Wayne Chism won the Bobby Parks – Best Import Award over his rival imports: Ivan Johnson of Talk ‘N Text, Purefoods’ Denzel Bowles and Meralco Bolts’ Josh Davis while Jayson “The Blur” Castro edged Paul “Leethal Weapon” Lee for the Best Player of the Conference Award. The best-of-seven finals series between the two protagonists has been physical so far. Paul Lee reportedly lost three front teeth due to an inadvertent elbow from the stone-built Ivan Johnson. Physicality continued off the court after Game 3 when Ryan Arana and Ivan Johnson allegedly engaged into almost a fist-fight in a walk way at the Araneta Coliseum vicinity. Every PBA fan expects another physical basketball in game number four despite of Commissioner Salud’s constant reminders and sanctions on the offenders. The very fierce Ivan Johnson drew the first blood by sinking a ring-less three pointer and immediately followed by a breakaway lay-up from Larry Fonacier. Rookie Center Raymond Almazan placed the Painters on the score board with a bank shot and two-handed slam. With just barely four minutes gone by after the opening jump ball, Ryan Arana hacked Ivan Johnson in the baseline while the latter was about to take-off for a dunk. The referees immediately got in between of the two players to prevent any illegal motions. Beau Belga was caught giving Kevin Alas a forearm to the neck on camera and was whistled for just an ordinary offensive foul. In just less than 2 minutes after Belga was called for an offensive foul, he was once again caught and penalized for shoving and sending Ivan Johnson to the floor. Both teams showed tacky defense which resulted into a very low first quarter scoring, 17-16 in favor of the Tropang Texters. Rain Or Shine top gunner Jeff Chan reportedly re-injured his foot during the pre-game shoot-out and the reason why he spent the entire ball game on the bench. Rain Or Shine Team physicians injected pain killers on Chan’s foot but it continued to hurt. Paul Lee who came in late in the first quarter fired 10 points in the second period to take the lead 32-30 with 5 more minutes remaining before the half time break. Elasto Painters reinforcement, and recently crowned as the Best Import of the Conference Wayne Chism, sat down during the whole second quarter for getting into early foul trouble due to four personals. But surprisingly, the Texters were not able to capitalize the situation with just a half-shot lead, 41-40 after 24 minutes of a very physical ball game. On the way to the dugout, Ivan Johnson and Rain Or Shine Assistant Coach Caloy Garcia got into a verbal altercation and slight commotion. Ryan Arana and Harvey Carey started the third quarter with double technical fouls where both bruisers entangled to each other. Coach Yeng Guiao continued to rest his prized import due to foul trouble. This time, the Texters grabbed the opportunity to multiply their very slim half-time lead to 10 initiated by Ranidel De Ocampo and Ivan Johnson who had 20 and 16 points apiece with more than 6 minutes in the third period and prompted Coach Guaio to re-assemble his squad. Jayson Castro who was a sleeper during the first half finally woke up and scored 7 quick points and handed Ryan Arana’s fifth personal foul. On Ryan Arana’s absence, hard court heart-rob Chris Tiu stepped-up with 11 points in the third and 21 in total. Talk ‘n Text maintained its course with an 8-point, 74-66 lead onto the final quarter. At the 9:47 mark of the final quarter both squads entered the floor for a scramble. It was spotted that Matt Ganuelas-Rosser pushed Jireh Ibanes to the front row seats. JR Quinahan threw the ball in Ganuelas-Rosser’s face and all hell broke loose. Ganuelas-Rosser, Ibanes and Quinahan were all thrown out of the game. Venue bouncers rushed to the court along with Commissioner Chito Salud to pacify all players and staff. It was raining threes. Paul Lee, Chris Tiu and Jayson Castro all fired long bombs with at least 2 treys each to spice up the final canto. Ranidel De Ocampo pushed harder than any other. The undersized power forward booked 33-conference high points and bagged the Best Player of the Game award. Game 5 is on Friday, April 24, 7pm at the Smart Araneta Coliseum.